J.D. 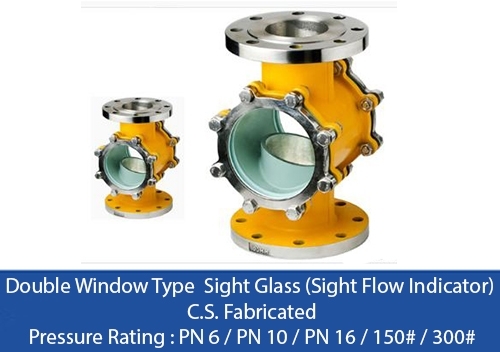 Controls manufacturing Double Window Type Sight Glass (Sight Flow Indicator) in Cast Construction & Fabricated design to meet an industrial requirement of various applications to inspect the process fluid. 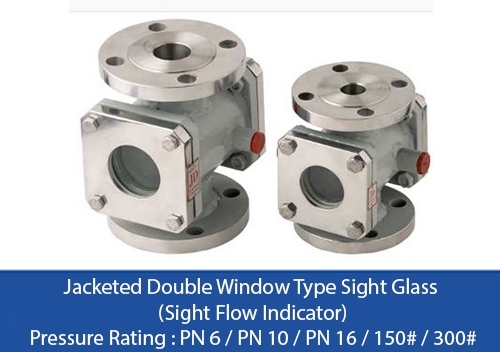 In Double Window Sight Glass (Sight Flow Indicator) Contains Two Toughened Glasses Mounted opposite to each other. 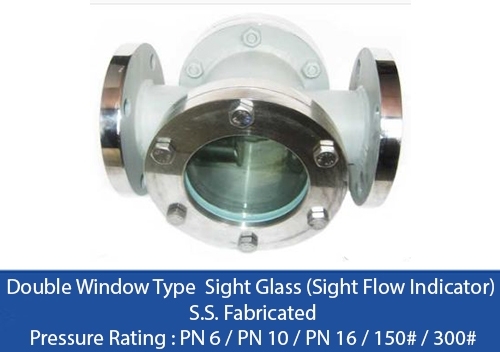 J. D. Double Window Type Sight Glass (Sight Flow Indicator) available with various thickness and diameter of glass to suit various applications respects to fluid pressure and temperature. 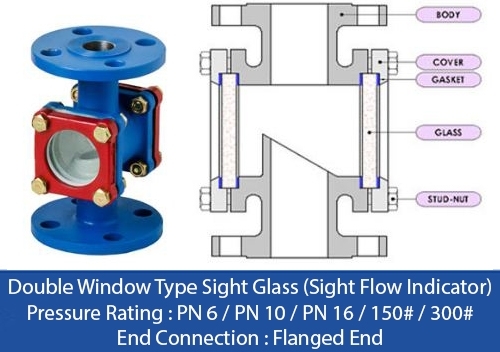 Double Window Type Sight Glass (Sight Flow Indicator) is very easy to replace glass without dismantling the whole Sight Glass assembly from process line. Available in all most all M.O.C. End Connections as per ANSI B 16.5/BS 10 Table/DIN/IS 6392 Std. Material Test Certificate & Pressure Test Certificates furnished on request.